Since they were first observed in the 1970s by the Viking missions, the slope streaks that periodically appear along slopes on Mars have continued to intrigue scientists. After years of study, scientists still aren't sure exactly what causes them. While some believe that "wet" mechanisms are the culprit, others think they are the result of "dry" mechanisms. Luckily, improvements in high-resolution sensors and imaging capabilities – as well as improved understanding of Mars' seasonal cycles – is bringing us closer to an answer. Using a terrestrial analog from Bolivia, a research team from Sweden recently conducted a study that explored the mechanisms for streak formation and suggest that wet mechanisms appear to account for more, which could have serious implications for future missions to Mars. 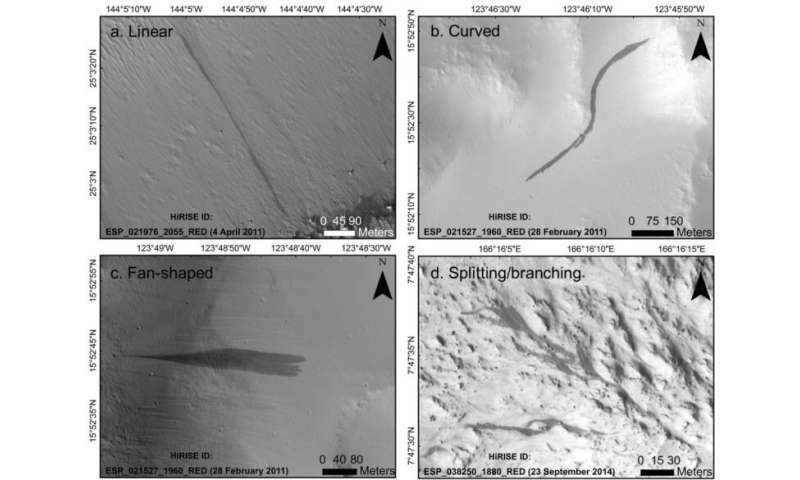 The study, titled "Are Slope Streaks Indicative of Global?Scale Aqueous Processes on Contemporary Mars?" recently appeared in the Reviews of Geophysics, a publication maintained by the American Geological Union (AGU). The study was conducted by Anshuman Bhardwaj and his colleagues, all of whom hail from the Luleå University of Technology in Sweden. "What we know from observations is the following: Slope streaks range from about a few meters to several kilometers long. They usually have a starting point upslope with gradual widening towards the downslope termini, thus indicating the possible involvement of some flow or mass movement. They are capable of following very gentle slopes and are reportedly able to climb even a few meters of obstacles in their flow paths. 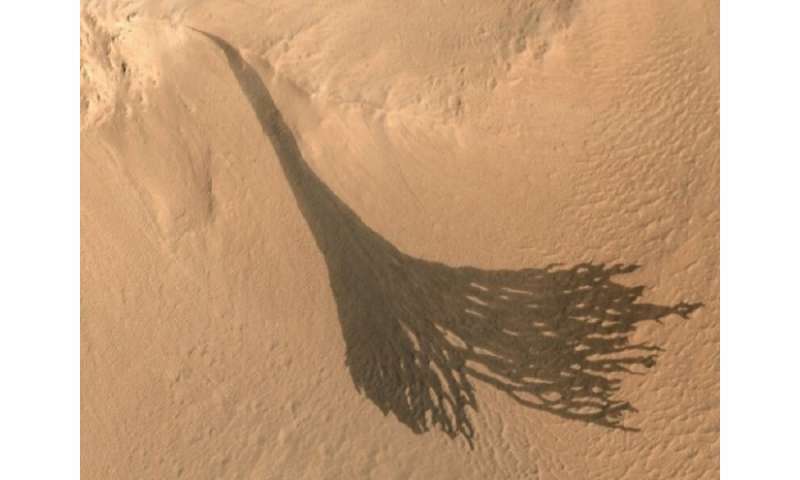 Slope streaks can appear anytime of the year in the equatorial and subequatorial regions of Mars. They appear to be singular events formed within a short temporal span, and their recurrence, or lengthening, is extremely rarely observed. They gradually fade over decadal timescales." For example, the main issue with the wet mechanism explanation is that observations have shown a lack of consistency when it comes to seasonal change. If liquid water or brines were the mechanism, then such slopes should only appear in areas that are experiencing warmer seasonal temperatures, which has not always been the case. What's more, slope streaks have been found to climb over obstacles in many instances, which is not consistent with liquid-driven displacement. Similarly, the dry mechanism explanation also suffers from a number of inconsistencies and challenges when considered on its own. For starters, if slope streaks were caused by the displacement of dry mass, scientists would have observed disturbances alongside them, not to mention a buildup of debris at their lowest point downslope. In the majority of cases, neither of these have been observed. At the same time, dry mechanisms cannot explain why some streak formations extend for kilometers. 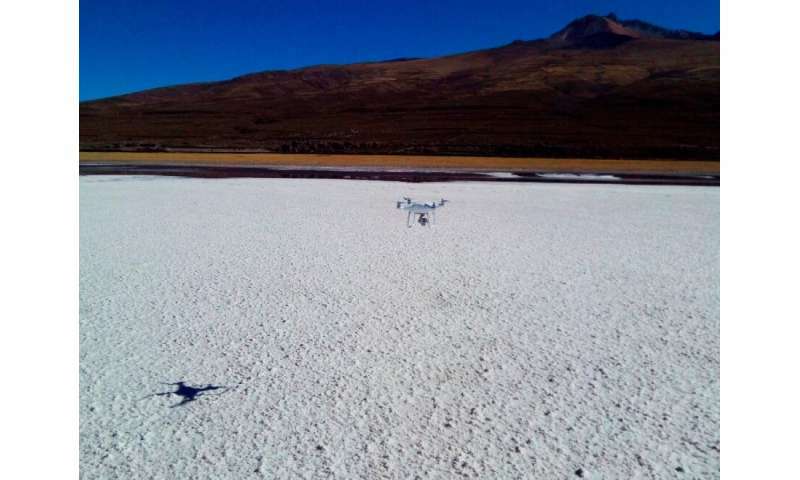 To shed further light on this, the team investigated an "wet analog" site in Salar de Uyuni, an Andean region in southwest Bolivia. 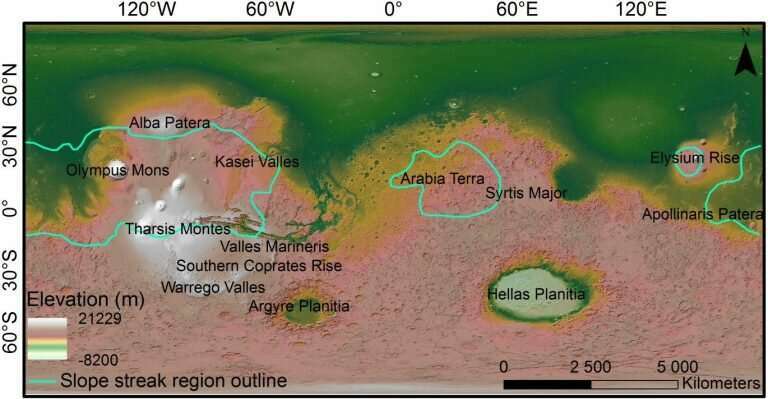 This region, which is the largest salt flat in the world, experiences similar atmospheric and surface conditions as the equatorial region of Mars. This results in seasonal brine flows where chloride and sulphate salts become liquefied and create slope streaks. "While available remote sensing data has vastly improved, as well as our knowledge of Martian mineralogy, climate, and atmosphere, we still need further investigations to advance our understanding. In this regard, targeting slope streak regions during future robotic or manned Mars missions would be advantageous." 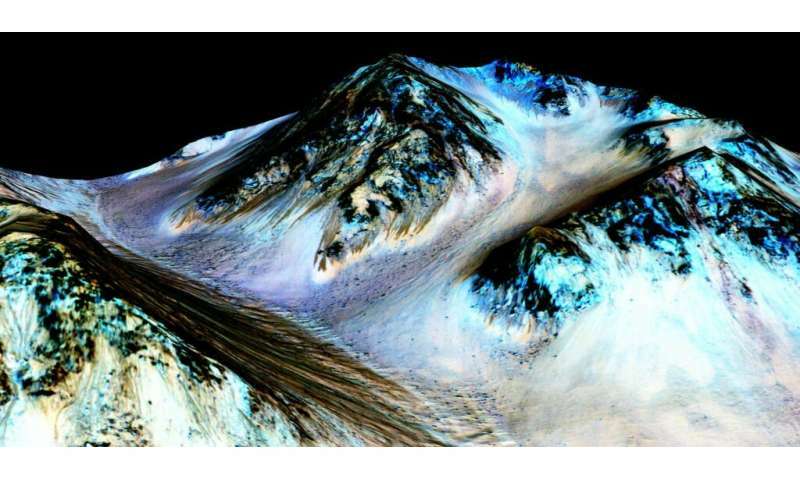 Essentially, salt water or liquid flows could explain many of Mars' slope streaks, but certain inconsistencies demand further research. Over time, we may learn that other mechanisms are involved, which could range from subsurface features to specific seasonal changes. Before we can send astronauts to the surface Mars, or contemplate creating a permanent human presence there, we need to know where to step and what to avoid.